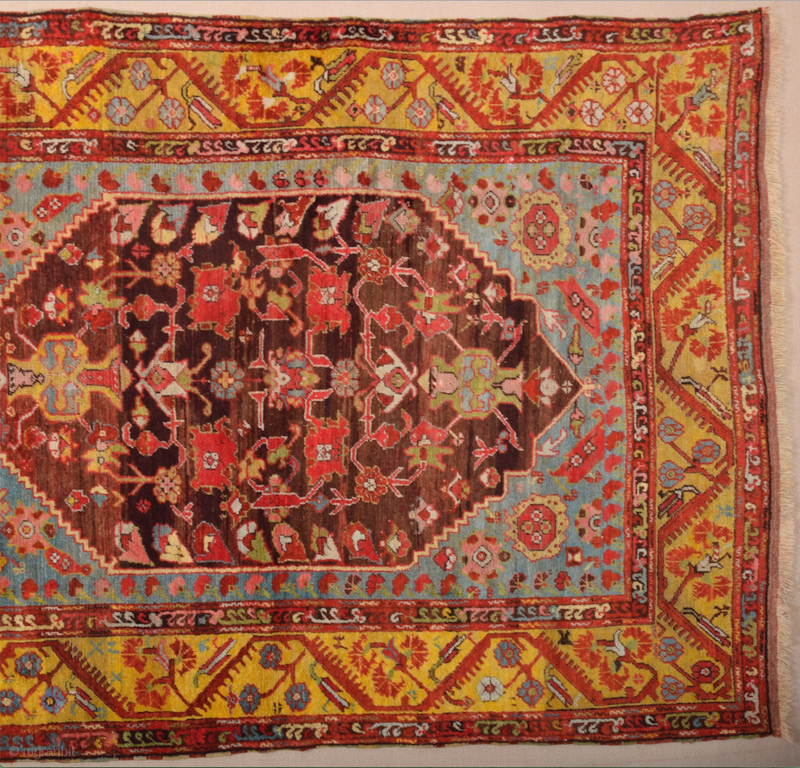 Early 19th Century West Anatolian Kula Rug It has a rare large size approximately 232 by 172 cm; 7ft. 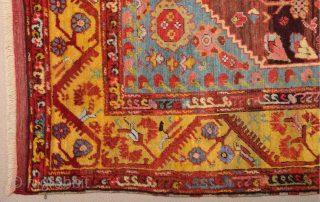 7in., 5ft. 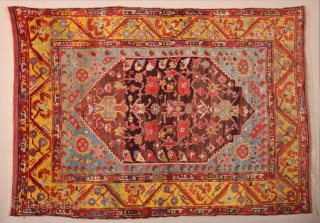 8in. 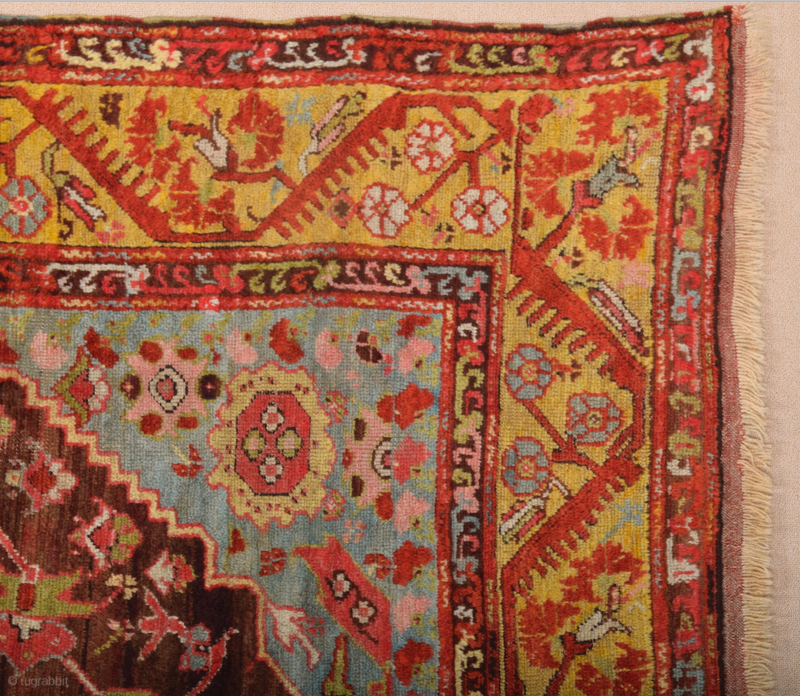 Kula Rugs – Kula is an old rug producing town in Western Turkey. 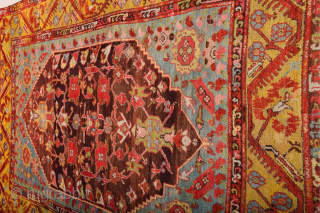 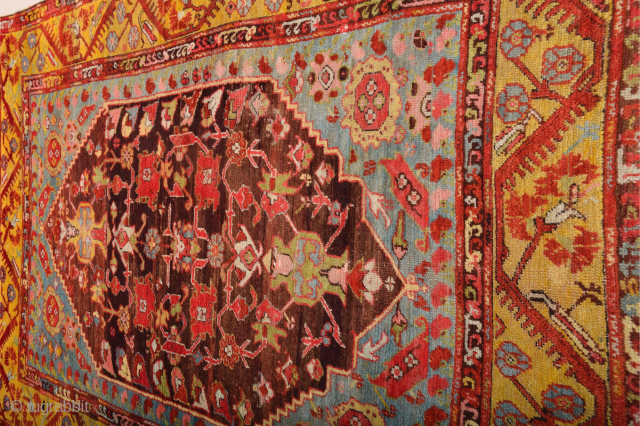 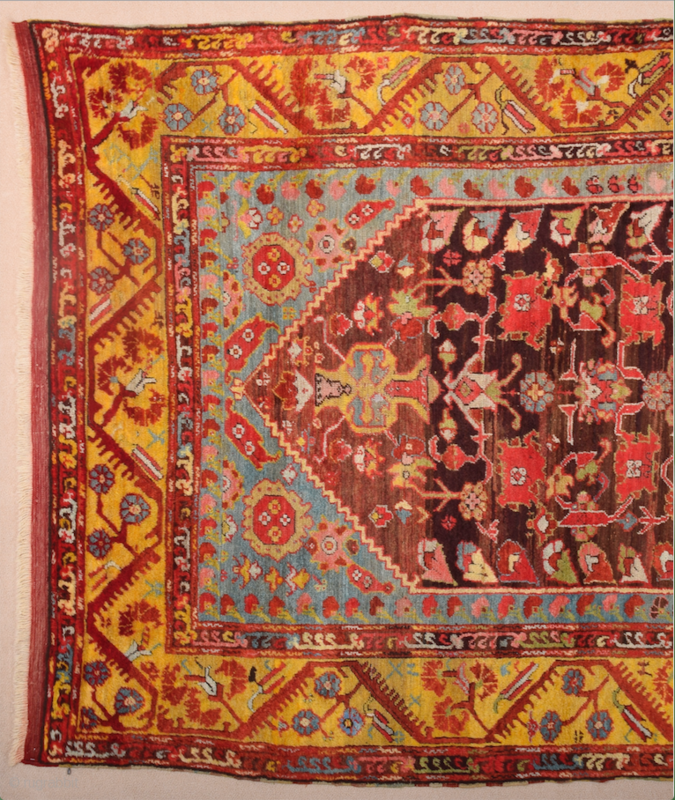 The weavers of Kula are known for their finely woven rugs, many with medallion designs of classical Turkish derivation. 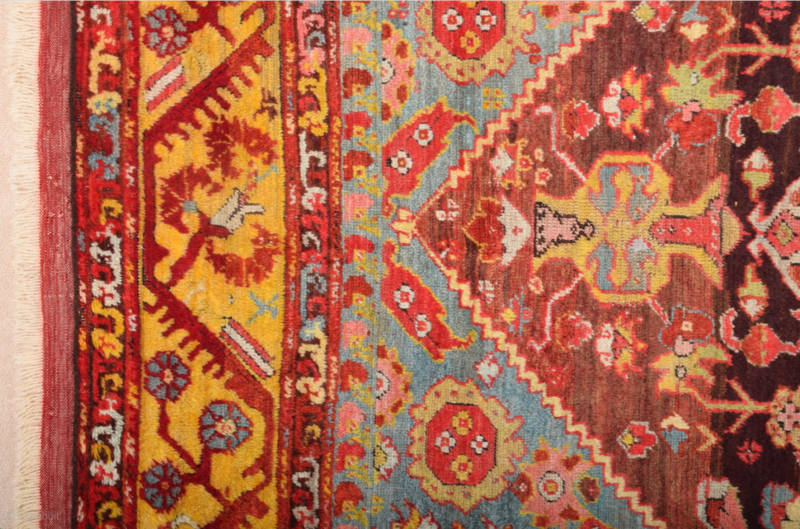 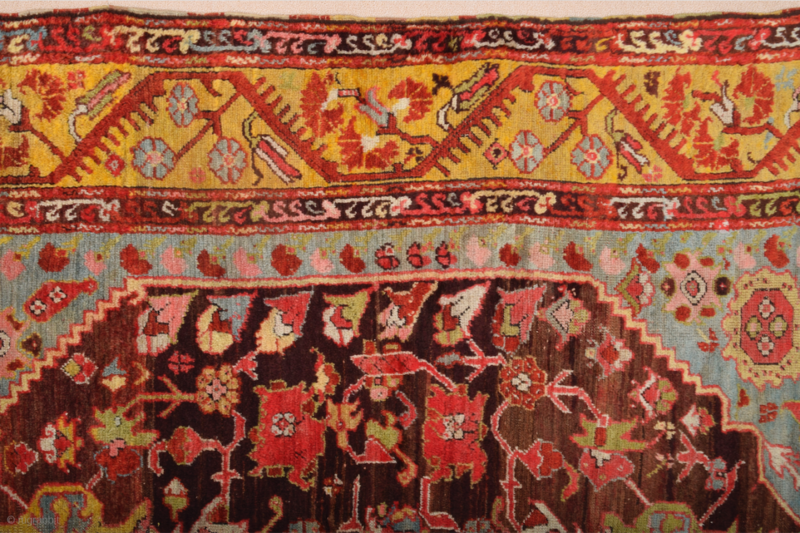 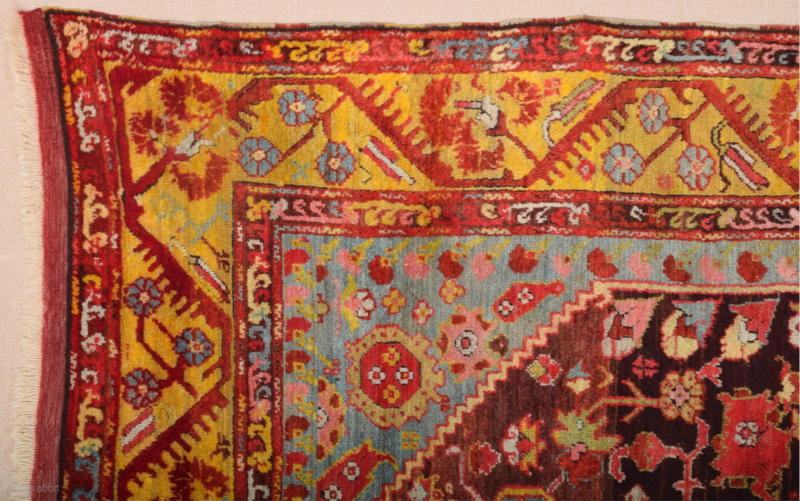 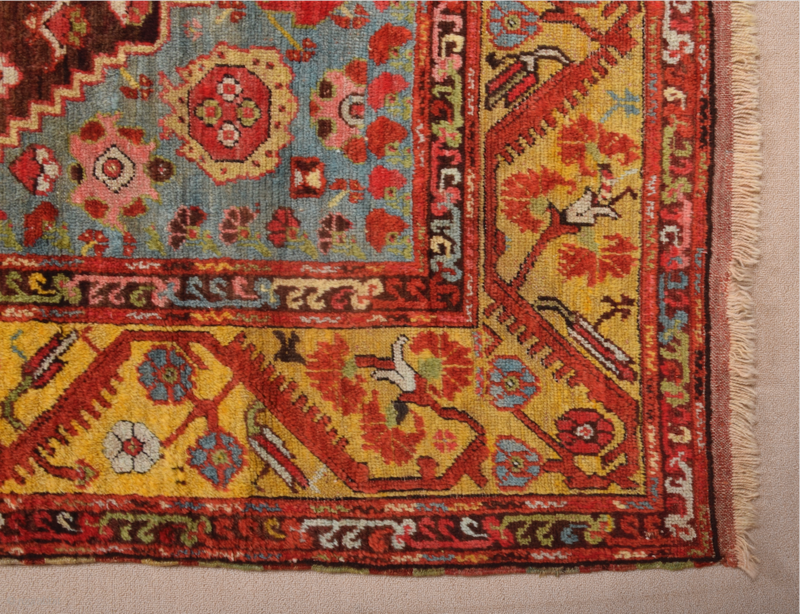 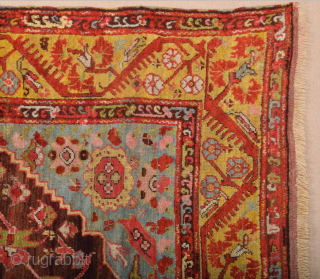 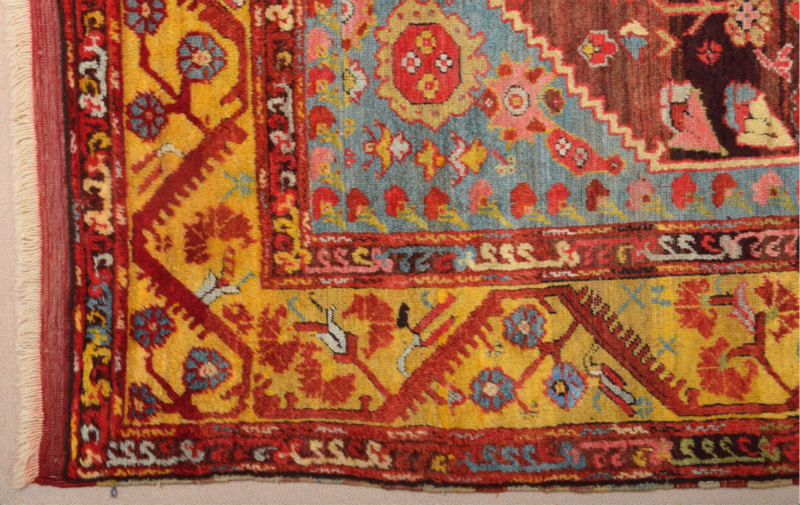 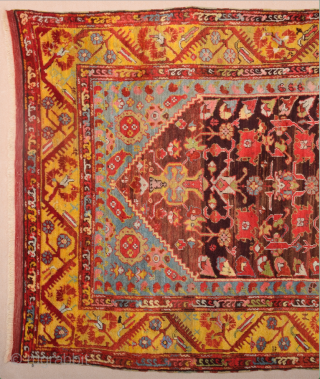 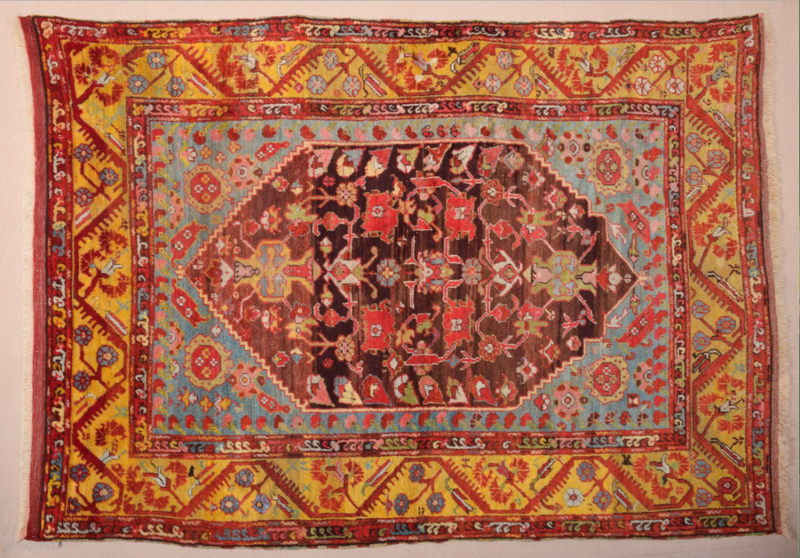 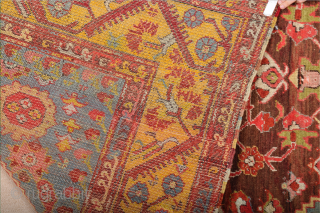 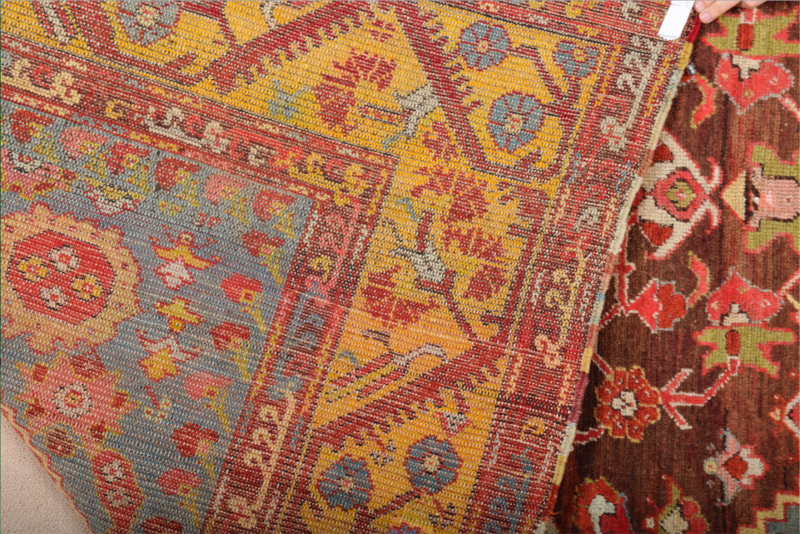 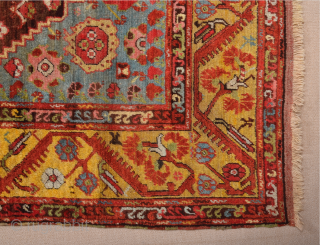 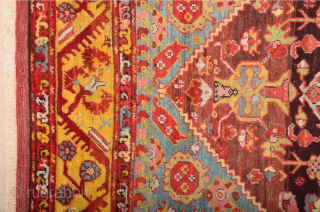 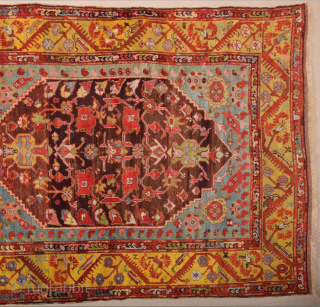 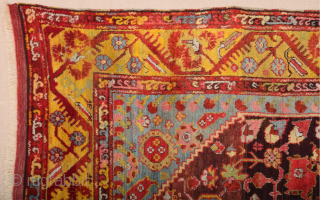 The antique Turkish Kula rugs are sometimes difficult to distinguish from the carpets of nearby Demirci. 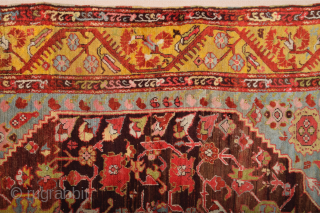 Some of the most collectible and sought after tribal antique rugs from Turkey are the Kula rugs and while many may share common design elements, each and every single antique carpet from Kula is unique and extremely artistic.